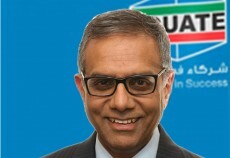 Equate, a global producer of petrochemical products based in Kuwait, has appointed Dr Ramesh Ramachandran, the senior executive vice president of Equate, as the new chief executive officer, while Naser Al Dousari will take over as the new senior vice president of the group. Dr Ramachandran will be succeeding Mohammad Hussain, who retires after serving as CEO for two consecutive three-year terms and a career in the oil, gas, and petrochemical industry extending over 35 years, said a statement from Equate. During his tenure, Hussain led the transition of the organization from a single-plant operation to a global leader with manufacturing operations in Kuwait, Europe, and North America, it stated. Announcing the changes in senior leadership, Equate said both Dr Ramachandran and Al Dousari will assume their new roles effective November 20 and will complete the transition process with Hussain by the end of the year. Prior to this, Al Dousari was the manager of Olefins Business Development at Petrochemical Industries Company (PIC) and also a board member of Equate and Kuwait Olefin Company (TKOC), a subsidiary of Kuwait Petroleum Corporation and a founding shareholder of Equate. A major player in the region, Equate is also the world’s second largest producer of Ethylene Glycol (EG), the raw material mainly used to manufacture polyester fibers. It has industrial complexes in Kuwait, North America and Europe that annually produce over 5 million tons of Ethylene, EG, Polyethylene and Polyethylene Terephthalate (PET). The products are marketed throughout Asia, the Americas, Europe, the Middle East and Africa.